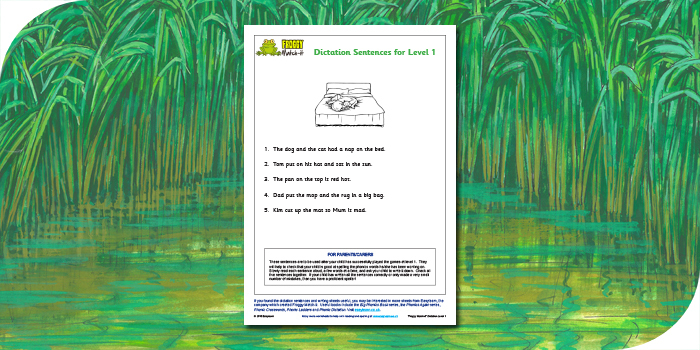 For each of the levels 1 to 11 of the Froggy Match-it game, there are free dictation sentences for teachers and parents/carers to access. These can be used to further reinforce the spelling rules learnt by using the game. The dictation sentences sheet for each level is appended to the 10 writing sheets for that level. Download the level you want on our Free Writing Sheets page. Try the interactive reading and spelling games!